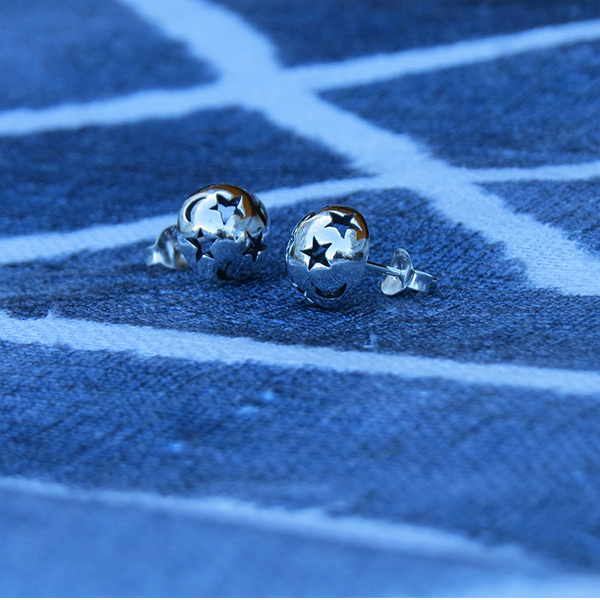 Heléne Wetterskog, jewelry designer, gives you an insight – the inspiration that underlies her jewelry collection. The collection will have a meaning based on the viewer’s eye and feel – that makes yours truly me. Energy and nutrition – drops/leafs in the colors of the seasons. 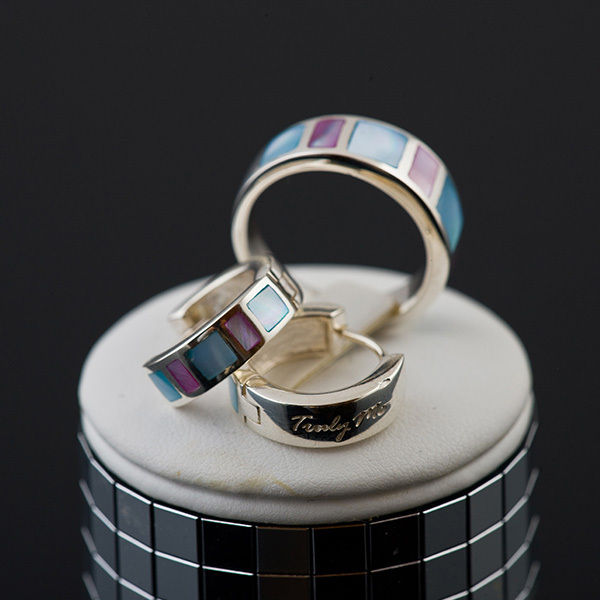 Parts in the collection: ring and earrings. 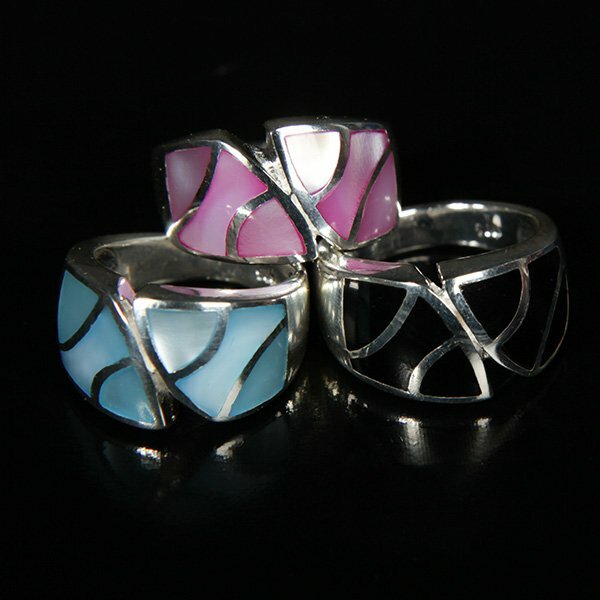 Silver rings with shimmering mother of pearl and black onyx. Like a flower field with blue topases. Parts in the collection: bracelets and necklaces. 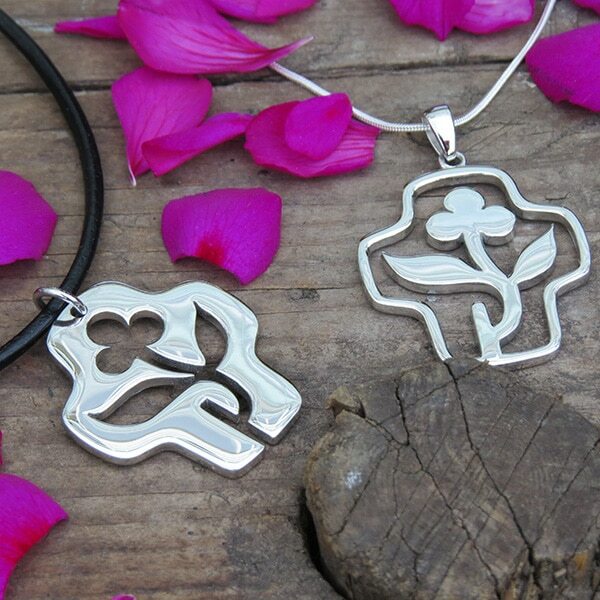 Powerful symbol and shape – “the path of life”. 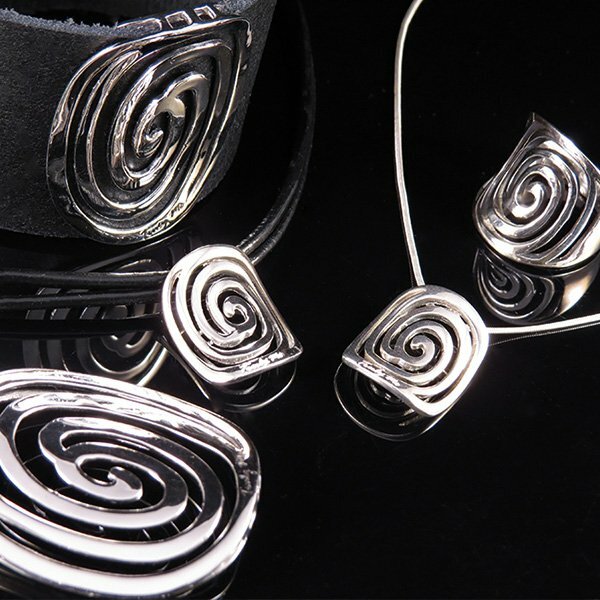 “Inspired by the spiral “path of life” that has been used as a symbol of people for millennia. The beautiful shape of the spiral can be seen in many places in nature and human works. The importance of the spiral…. 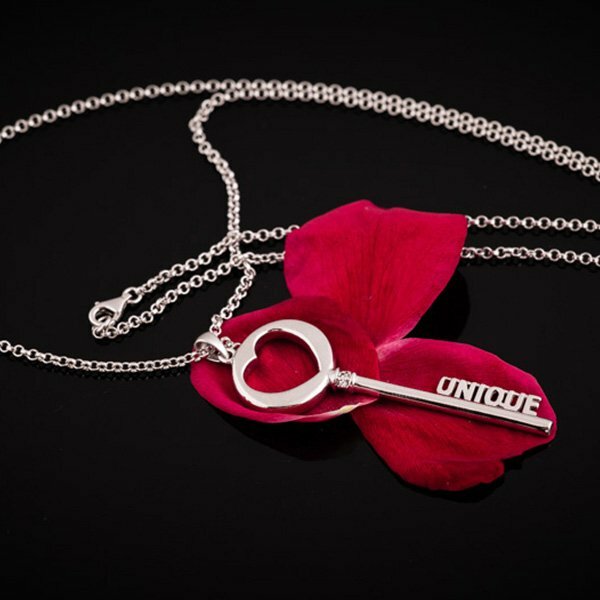 Parts in the collection: bracelet, necklace and ring. Hearts, flowers and ruby colored cubic zircon. 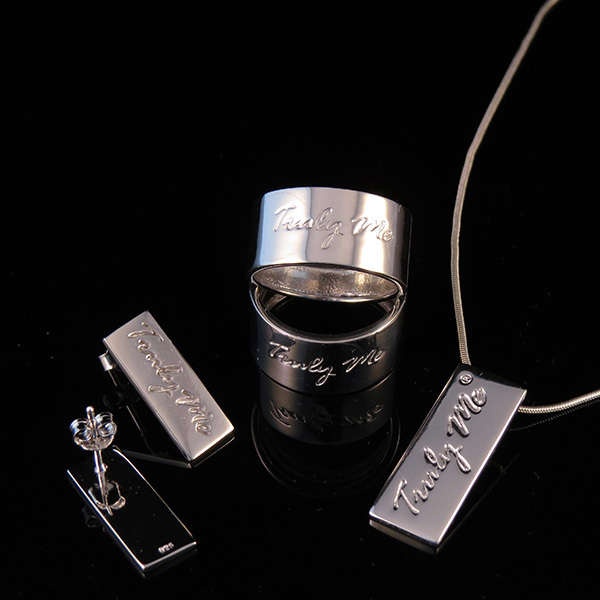 Parts in the collection: necklace, ring and earrings. 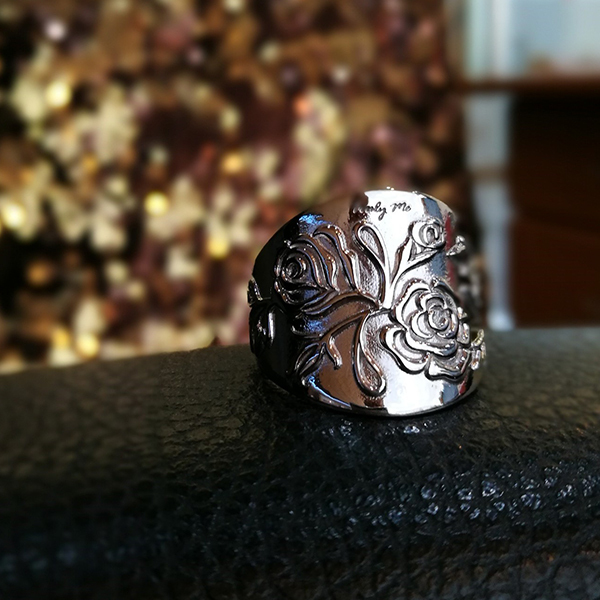 Cocktail ring in powerful design with large onyxes. 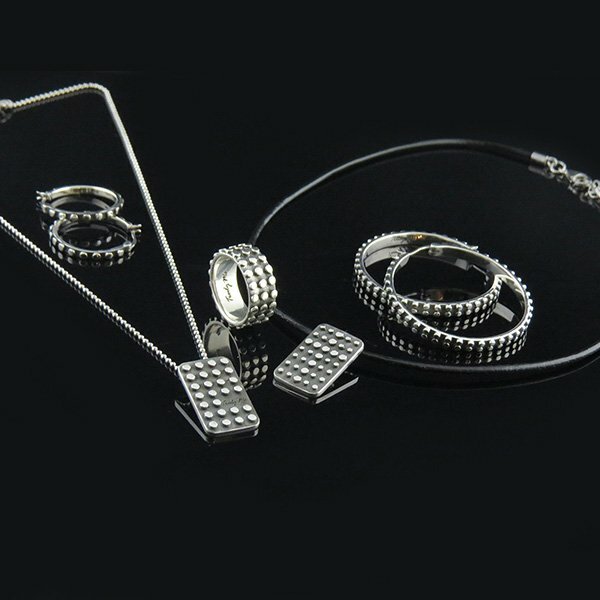 Parts in the collection: bracelets, necklaces, rings and earrings. 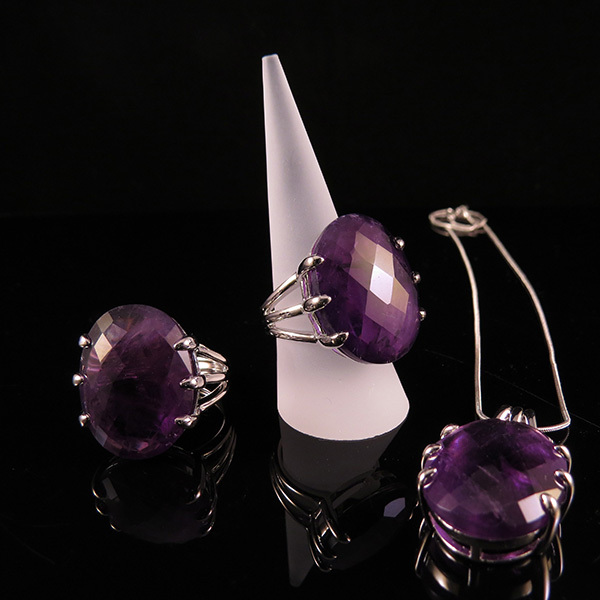 Cocktail ring in powerful design with large amethysts. 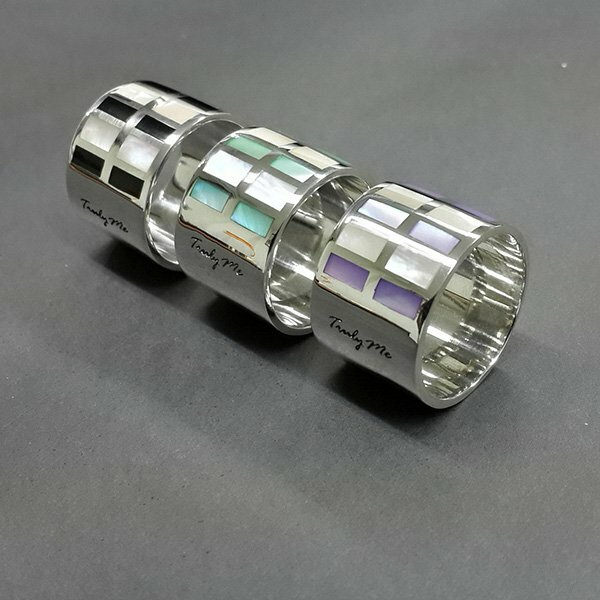 Shimmering mother of pearl in purple and blue. See through – flower design. 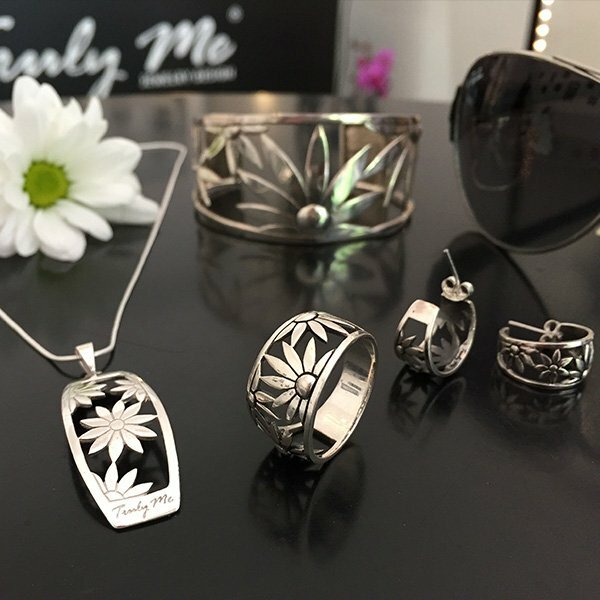 Durable jewelry in tough/cool design. Like a hedgehog … tough when needed. 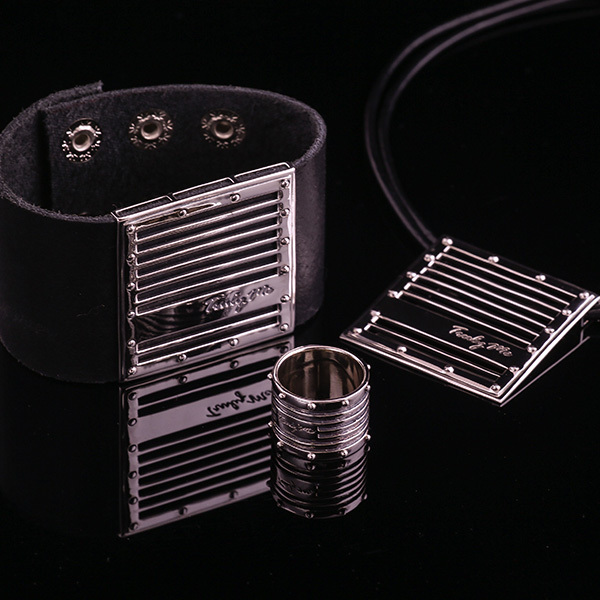 Parts in the collection: bracelet, necklace, ring earrings. The flower and the cross. 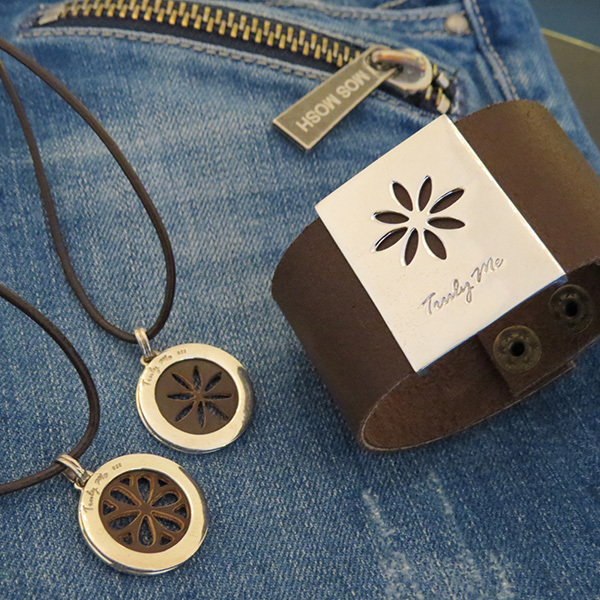 On behalf of Sjukhuskyrkan®, I have had the honor to design two silver necklaces and two bracelets with leather – of their symbol the flower and the cross. Cut out pattern in brown leather and silver. 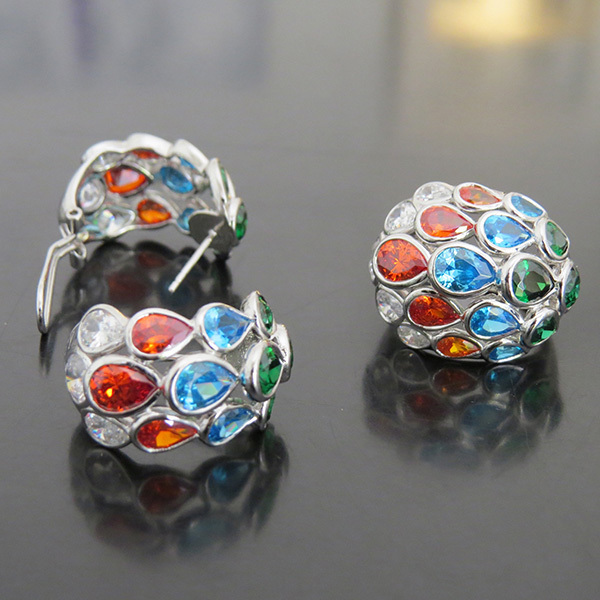 A pattern with ribbons and beautiful stones (topaz, amethyst and spinell). 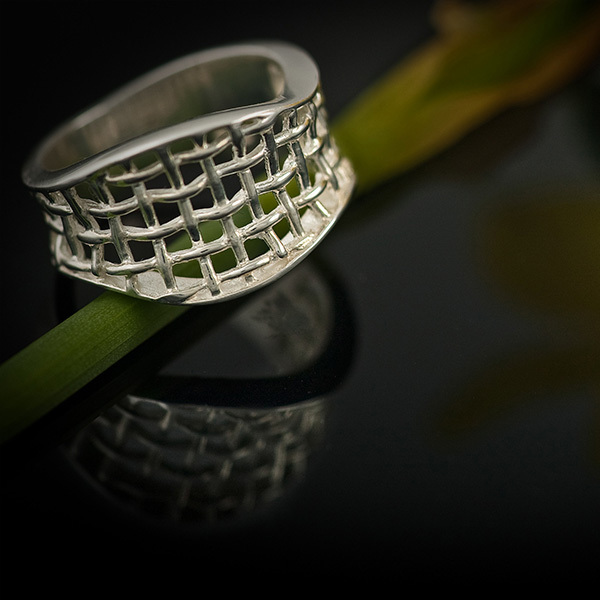 Braided silver wire with a soft shape. Love from the moon and back. 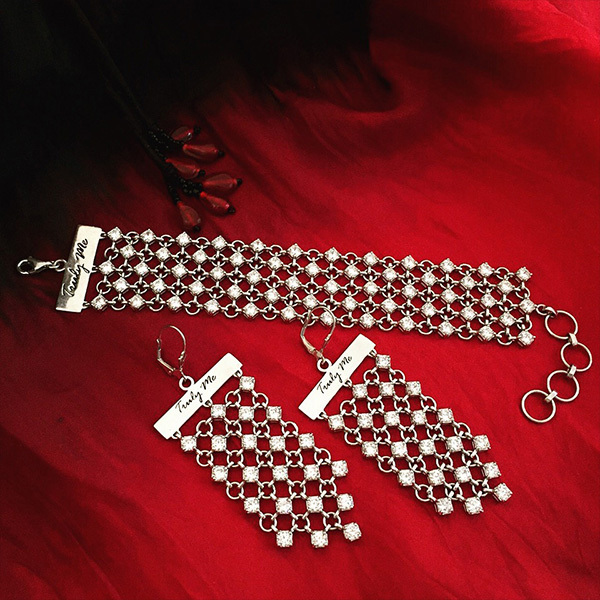 Parts in the collection: bracelets necklace and earrings. 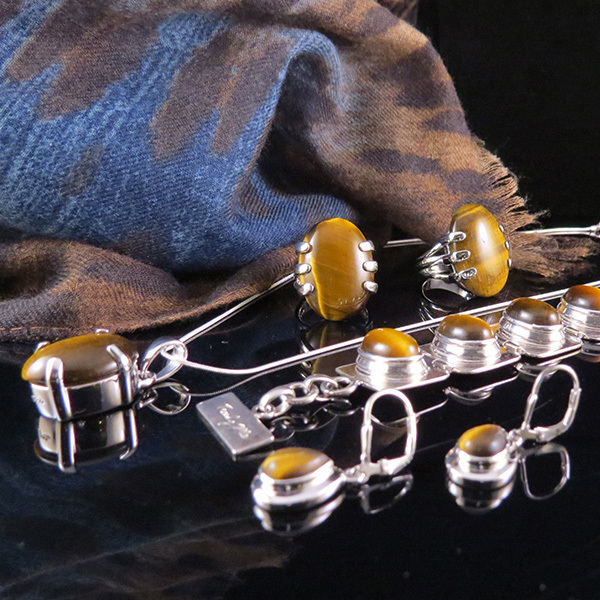 The stone tiger eyes – design with clasps. 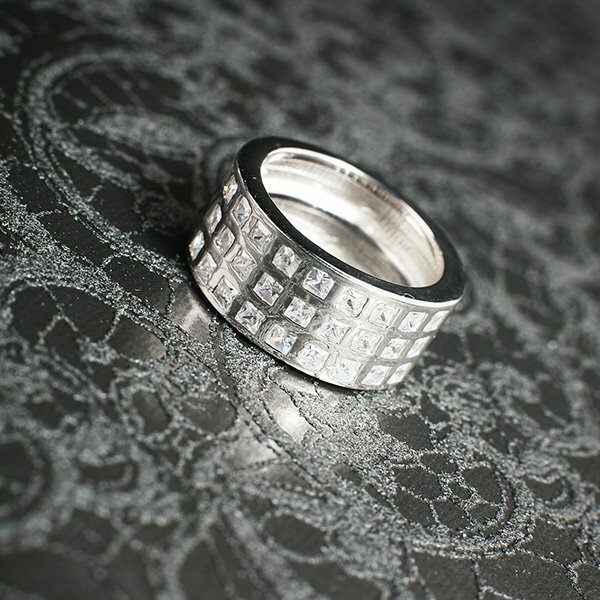 Bling in style – a design that never goes out of time. ZEBRA (crossing) with shimmering mother of pearl.